Old houses may exude an attractive appearance, but some dated architectural techniques and additions are considered harmful to one’s property and health. Some properties in the United States may be harboring such structures, and if you suspect that your home is showing the signs, it is better to leave those problems to the professionals. One common type of material that was used in old structures is asbestos. Asbestos is a heat-resistant and durable fibrous substance that was used in residential and commercial buildings that were constructed between the 60s and 70s. Back then, people were so amazed by the fascinating features that contractors began applying asbestos on the ceilings and walls. After some time, however, it was proven that asbestos is carcinogenic, and its use gradually declined. Although asbestos is no longer being used in modern households, it is still found to be prevalent in older structures. Its presence poses a significant threat to you and your family because its microscopic particles can enter your system. Being exposed to too much asbestos can result in the following symptoms, which can transform into irreversible ailments such as lung cancer, mesothelioma, and asbestosis. It is difficult to remove asbestos through common means because (1) it is difficult to spot, and (2) if by any chance you have found the root cause, you can spread it in the air you breathe. Do not place yourself in harm’s way; let us, at Cyclone Kleen Up, handle the situation professionally. With the proper equipment and procedures at hand, Cyclone Kleen Up will make sure that your properties are free from the harmful effects of asbestos. Before we proceed to the removal proper, our expertly trained technicians will first test your buildings, to determine where it is located and which room is being affected the most. Once that is over, we will seal off the area to detain the diffusion of asbestos, and start the process. We will dispose of asbestos riddled structures and items, and make a final inspection before we leave the premises. 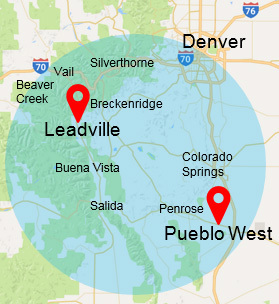 Without our professional help, you will only prolong the inevitable, so give us a call at: 719-299-3887 or visit our contact page here for further details, questions, and the like. We also offer various services to properties located in Colorado which pertain to restoration services.